After working with the Rav4 Limited hybrid’s GPS unit for almost 3 months I am somewhat disappointed in the lack of certain features. I have actually mounted my Garmin 2595LMT in my Rav to compensate. Here are some of the features important to me that I can’t seem to find on the Rav unit. --- Sorting the address book entries according to distance from my current location. --- Voice access for either the entries in the address book or previous destinations. --- Voice access for specific names of local POIs. --- Voice access to recently found locations(history). Not having these features severely limits my GPS’s hands free access of destinations. Maybe others have found some ways of accessing these features or other features that might facilitate the “hands free use” of the GPS unit. Toyota uses the best 2 year old technology that money can buy. Get used to it. I was disappointed in the maps on my new RAV4. I had updated my previous car's (Lexus CT200h) maps less than a year ago and it finally showed a fairly new significant road (about 4 years old) near me. But on the RAV4 it's missing! Wouldn't it be nice if we could connect the car to our home WiFi's and just update the maps like you can with a portable GPS!!! '16 Hybrid LTD w/tech-white pearl, blk int. NOW SOLD. 3M hood film, OEM cargo mat, 3D Maxpider winter mats, Lumens LED interior bulbs, Michelin X-Ice XI2 225/65R17 snow tires on rims. Instead of Toyota giving us a mediocre GPS software they should just add mirror link capability for android phones or carplay for apple. I got a refurbished $99 2599LMTHD Garmin GPS unit on ebay yesterday. There maybe ebay bucks or ebay coupons in your inbox/spam folders. My GPS kept getting lost when finding an address, sometimes taking me about 5 km further away from my destination. The dealer told me to upgrade the GPS would be over $200. My old portable GPS cost a hundred dollars, has free lifetime upgrades and hasn't failed me yet. 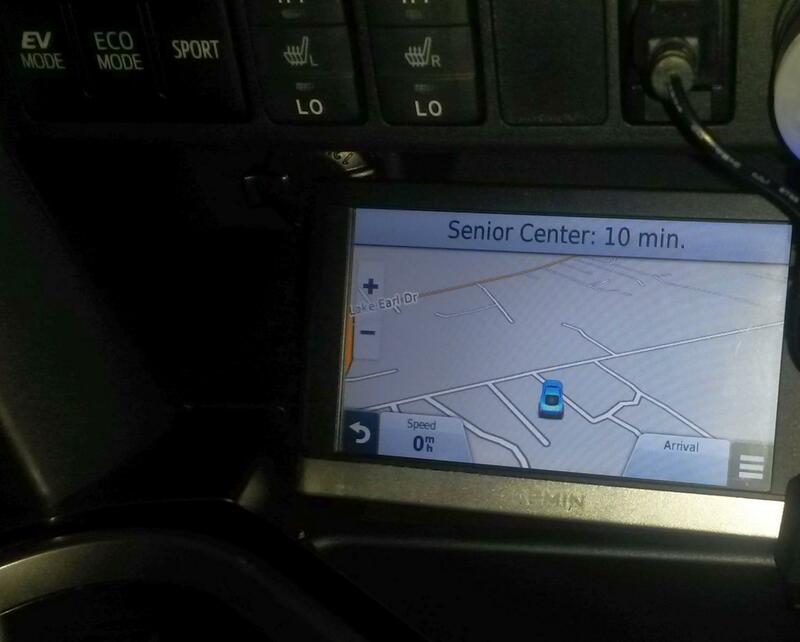 My advice, avoid paying for Toyota's ridiculously bad GPS. It's a scam and they know it. In fairness to Toyota, one should consider that the nav system has to integrate into a complex and finicky head unit with hardware-limited potential. Likewise, updates have to be fully vetted for bugs and unintended effects before distribution. And the stealership wants to get paid for installing an update. When you pay $35,000 for a car that has out of date software right off the lot, making sure the cretins at the dealer level get paid is the least of my concerns. Toyota has known this issue for years and chooses to do nothing. Sorry, absolutely no pity for the dealer or Toyota. You don't have to have pity. Point is that its never as simple as it seems. Bottom line with ANY car maker is that if you want top of the line technology you need to provide that yourself. That's a model very similar to my 2595LMT (free lifetime maps.) I temporarily mounted it right below the seat heater switches. So far it seems to be able to receive the satellite signal ok. I'd prefer to use the Rav unit, but it is just not as capable using voice commands for hands free use.